Want to run android apps on windows/Mac? If you’re a Windows 8 user frustrated with the paltry selection of apps, or a Mac OS X user who wants an Android experience without having to buy any additional hardware, BlueStacks offers a virtual Android environment, complete with access to the Google Play store.Believe me this is totally cool! It’s available for Windows XP, Vista, 7 and 8, and Mac OSX. Interface: It is pretty cool and fluidly good. Just check out. To find apps in BlueStacks, we clicked the Search button. After typing what we wanted and tapping “Find,” it only took a couple of seconds for BlueStacks to return all of the relevant results. After we tapped Install, we were asked to log into our Google account. BlueStacks then asked to set up 1-Click Sync, requiring us to log into the Google account that we used on the device we wanted to send apps to. Then, we selected all the devices we wanted to sync with BlueStacks. The app will detect all the gadgets that you use to log into that particular Google account. A new way to uninstall applications. Revo Uninstaller solves an all-too-common problem: Programs whose uninstallation routines are sloppy. Not uncommonly, when you uninstall programs in Windows, they leave bits and pieces of themselves behind, such as Registry entries. This program promises to find all those bits and pieces and zap them so that when you uninstall software, your computer gets truly clean. The program does more than just uninstall software. Revo Uninstaller also includes other cleaning tools, including an Autorun manager, that will show you all the programs that start on system startup–and lets you kill or remove any that you don’t want run. And there’s a very useful “Tracks Cleaner” that will remove traces of your browsing history, as well as traces left behind by Microsoft Office applications. Monitor your lung health by an app! For patients with conditions like asthma, chronic bronchitis, or cystic fibrosis doctors sound out their pipes using a spirometer, a device that measures volumes of air breathed in and out. The exhaled volume indicates if the patient’s air passages are clogged and leading to difficulty breathing. The Spirosmart app estimates the volume of air exhaled by the sound waves recorded as you breathe out. SpiroCall, as the team is calling the setup, involves dialing a number and leaving a long breath of air as a voice message on a server. In very early tests, the team found that phone lines preserved enough audio quality for the recorded exhalation to be used as a spirometric substitute. This indicates that any phone, even basic cellphones that are common in developing countries, could be used to remotely measure lung health or detect signs of lung disease. I have found a new website similar to softonic and sourceforge called filehippo.com. FileHippo.com’s collection, clearly laid out on its home page, is the best of the best. It makes sure to keep things so up-to-date that it’s likely to have updates before you know about them. The Update Checker app it provides Windows users will help you find out what software you have that needs a new version. 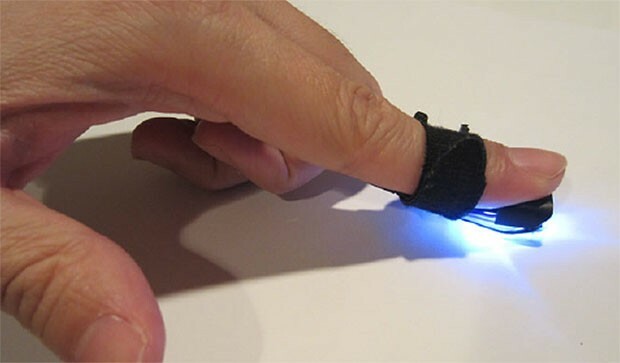 Magic finger-The next sixth sense? The Magic Finger turns any surface into a touch interface. Magic Finger is a research project from Autodesk research in collaboration with theUniversity of Toronto and University of Alberta. By combining a camera that detects surfaces with one that perceives motion, Canadian university researchers and Autodesk have made a sensor that reads finger gestures based on which part of your body you swipe. The first camera can detect pre-programmed materials like clothing, which would allow finger movements made across your pants or shirt to activate commands that call specific people or compose an email, for instance. After taking a look at this video, you will really understand why I compared it with sixthsense. It’s truly awesome! Nah, I’m not telling you to leave my blog now! 😛 It’s the name of the app. This free app keeps you on time for your next meeting by telling you exactly when to leave. It posts a reminder message on your iOS device’s (iPhone, iPod touch and iPad) home screen precisely when it’s time to get up and go. Using GPS, it automatically calculates traffic for various modes of transportation, including walking, biking, driving and public transportation, and adjusts your departure times and reminders accordingly. When you’re running late, Leave Now sends “on my way” texts and emails on your behalf to let people know your estimated time of arrival — all in a single tap. 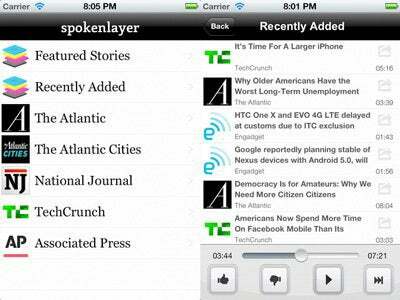 Some cool apps you ought to have. Ever missed something which you though you’d easily remember? Don’t worry I too miss them! Here is an app that’ll make sure that’ll never happen again.And who knows, it may be the next big thing on internet! 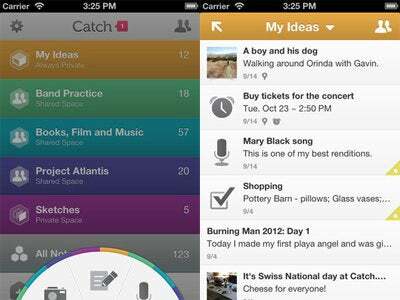 Catch helps you capture your most important ideas so you never miss anything. You can create voice, photo, and text notes, online and offline.